Having introduced a new Voice Access app to allow for full voice control of Android phones, Google has also redesigned Google Assistant on both iOS and Android. 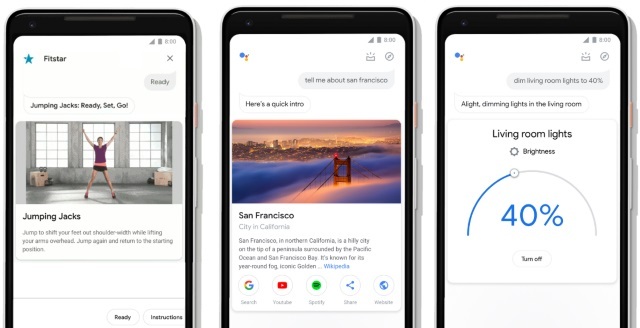 The revamp makes the app a more visual experience, with Google acknowledging that while the Assistant is a voice-activated tool, touch is also a key component. With the redesign, Google hopes that bigger visuals and new controls will make it easier and faster to get things done with a combination of voice and touch. With its presence on Google Home, it's little surprise the Google Assistant has long had a focus on voice controls. But with growing use on mobiles, as well as on other smart devices with displays, Google recognizes that touch has a part to play too. On Android phones, it's now easier to access an overview of your day. Open up the Assistant and swipe up on your screen to get curated information based on the time of day and your recent interactions with the Assistant. The redesign will be rolling out to Android and iOS handsets over the coming weeks.